I want to take one second to thank anyone who may be interested in reading these and mention one quick thing. GAMERFUQS is brand new. This means that in the future this may become much more…. presentable. Currently I am spending a short amount of time everyday (mostly while I should be doing work) scouring the Internet for interesting information in the world of video games. In no way do I consider myself to be a writer, journalist or expert on the industry. These are a collection of thoughts, gathered throughout the week and spewed onto a page: a response to the news, rather than a presentation of it. In fact I’ll probably miss a lot. Though random indie developers and PC gaming will definitely have a place here. Sorry, not much on Microsoft and Xbox until I can get another person with that insight. I wouldn’t want to be disingenuous. Every month Sony gives PS Plus subscribers a handful of games for free as an extra incentive for the monthly subscription service. Some months fall a bit short but I would consider February to be a WIN for us with the service. While I have little to offer in response to Transistor, I CAN say that I have heard nothing but good about this, otherwise easily overlooked, title. On the other hand, Apotheon peaked my curiosity immediately. This game is clever, most notably with its art style. This action-based platformer grabs artistic influence straight from the side of every piece of pottery from classic Greece. It is definitely an interesting title for PS4 owners looking for something different. Both of these games have seemed to fly underneath my radar but it is definitely noteworthy that Sony has offered two full sized games for owners of the last gen system. Perhaps with “new gen” systems on the shelves, Sony realizes the need to offer larger titles to players on “last gen” systems. Considering the PS Plus subscription is not necessary to play on the PS3, it seems a wise move on Sony’s part. This is one to be excited about guys! Rogue Legacy is one of the best games I’ve played over the last year it is the perfect title for PS Vita. A Rogue-lite with a new twist on post-mortem interactions and infinite replayability: that’s rogue legacy. Seeing as these Vita titles are often obtainable on PS3 and PS4, this should bring a smile to everyone’s faces. Kick and Fennick is another title in which I must admit to know very little, but the description on the PlayStation Blog paints a picture of a playful journey between a young boy and his newly found robot friend. Based on a few glances, this will surely be a fun title for fans of whimsical journeys offered by games such as the LittleBigPlanet series or even Portal. That’s our free games for the month. Now go play Rogue Legacy until your thumbs bleed. The next EA revision of Battlefield has entered its second Beta and fans of the franchise seem to have mixed feelings. This is a title to which I admittedly am on the fence, having denounced Battelfield4 after several months of play due to its inconsistencies. Having played the Battlefield Hardline Beta on it’s first run, I will admit to a bit of curiosity towards this new breath of life for the franchise, but while the game seems to have something new to offer, it still doesn’t quite take me back to the days of BF3. That being said, EA has release a small list of improvements made since the original beta. Tweaks include: increased length of matches, improved HUD, stronger audio dynamics, increased movement speed and a handful of others. While the changes are welcome ones, I cannot say that they are game changers. It will be interesting to see how veterans to the series receive the game at launch. At the beginning of every month, Sony releases its top sellers for the previous month. This month, I was stoked to see one title take the leading sales spot for both PS3 and PS4. Resident Evil has found its way to the top and into the homes of thousands. The revisit of the classic survival-horror title even topped Techland’s Dying Light for the PS4, which took position the second position at the top of the PS4 charts. As an undying fan of zombie fiction, I was thrilled to see the support for our rotting brothers and sister with TWO zombie titles holding the ranks for best sellers in January. On PS4, Dying Light was followed up by Grand Theft Auto V, which also held the number three spot on the PS3 chart. Minecraft takes the number two position on PS3, holding its place amongst the ranks for months now. A notable mention, the remastered of Grim Fandango holds it’s own as Sony’s number seven bestseller in January. Having never played this game in the past, I was very excited to have a chance to play this cult classic. I highly recommend giving Tim Schafer fifteen of your dollars, and playing this wonderful classic adventure game…. do it with the tank controls while you’re at it. 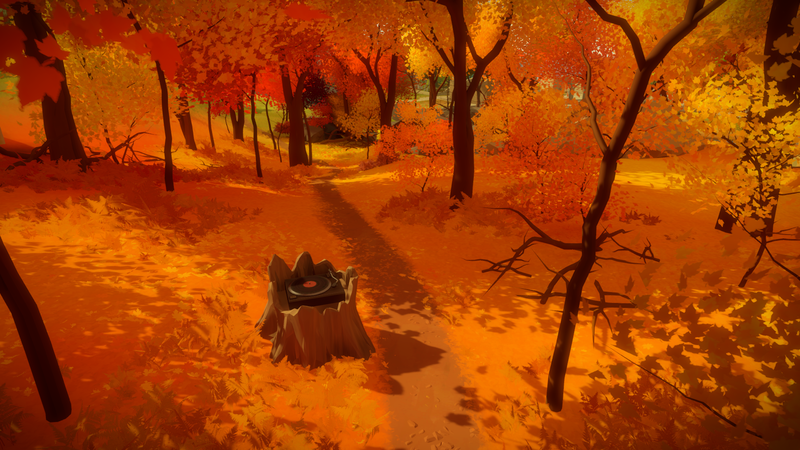 If you’re a fan of eccentric indie titles, then you’ve probably been following The Witness. Jonathan Blow, the creator of the classic indie title Braid, has apparently been dumping his heart and soul into this game and apparently his earnings form his previous success along with it. Blow has been sported across the Internet lately saying that he is expending all of his previous earnings from Braid into the development of assets for The Witness. Blow tweeted over the weekend that he intended to do a speed run of the game in order gain a sense of the games length. This leads me to the thought that the game isn’t far from release and the anticipation is heavy. While there have been LOTS of stories over the past week, these are the things that caught my eye. Keeping hanging out and reading GAMERFUQS for more responses to the news, reviews and nerdy content.